“Two unusual things happened on Nov. 16, 2018. Fifty-five nations from every continent (except Antarctica) agreed on something, and metrology, the science of measurement, was major news! On that day in Versailles, France, the world’s measurement experts voted to do something momentous. 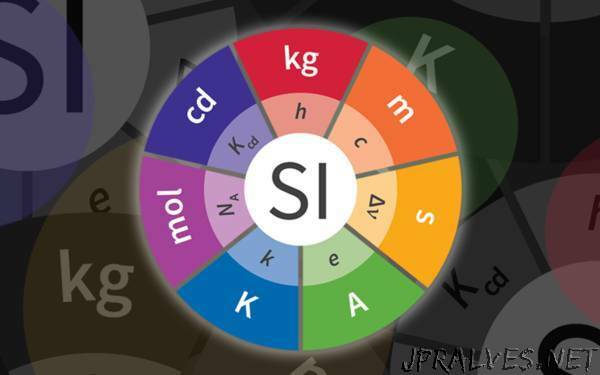 They passed a resolution that specifies the exact values for seven fundamental constants of physics and, in the process, they made it possible for anyone, anywhere to make precise, accurate measurements using the International System of Units (SI), popularly known as the metric system. But wait, you may be thinking, can’t we already make precise, accurate measurements everywhere? As often is the case in science, the answer is, “It depends.” Yes, most industrialized nations can make extremely accurate measurements in support of industry and science, but reliance on a single platinum-iridium kilogram artifact in France has been inconvenient and has started to constrain what can be achieved at the tiny masses now used in advanced pharmaceutical design and in other advanced manufacturing areas. The resolution passed in Versailles now defines the kilogram not as a single artifact but in terms of the fundamental constant referred to as the Planck constant. Using the fixed value of the Planck constant, mass can be realized at any magnitude by equating the electromagnetic force it takes to hold a mass against the force of gravity. With that quantity in hand, the kilogram has been freed from its platinum-iridium shackles. From now on, comparisons of a country’s copy of the kilogram with the French prototype will no longer be necessary. Any nation, any industry that needs to measure mass with world-class accuracy need only build something called a Kibble balance. Named for its inventor Bryan Kibble, this is a measurement instrument that has been improved over 30 years by NIST, the National Research Council of Canada, the National Physical Laboratory in the U.K., and other nations. It takes advantage of fundamental relationships between mass and energy at the atomic level, immortalized by Einstein’s famous equation, E=mc2 (energy=mass times the speed of light squared). With the now fixed, extremely accurate value for the Planck constant, a number that relates a photon’s energy to its frequency, anyone, anywhere can make a Kibble balance with the accuracy they need for mass measurements without needing calibrations from NIST or any other national measurement institute. This is possible because the readout from a Kibble balance is provided by nature through unchanging laws of physics, not a fragile object made by humans. So, what does this momentous change in measurement mean to you? When you buy your deli meat by the pound or the kilogram, will you get a better deal? No, consumers will not notice any change, and that’s the idea. An accurate and well-functioning measurement infrastructure is one you don’t notice. It’s only when things start to go wrong that you notice it, which is how we got here in the first place. Although the kilogram is getting the most dramatic facelift, the ampere, kelvin and mole are also getting new, or slightly edited definitions as well. I don’t know about you. But I’ve never seen a conductor of infinite length and negligible cross-section, and the nearest thing we have to a perfect vacuum is space, which is inconvenient, to say the least. The ampere is weird because it’s an electrical measure but is defined in terms of force. And because it’s so hard, actually impossible to realize the amp as defined, we have had to define it in terms of its relation to the ohm and the volt when it’s really the ampere that should define these units! And what’s worse is that the units that the ohm and the volt are defined by aren’t even among the SI units! But now, all that has changed. The volt and ohm have been tied to natural constants h and e—the Planck constant, h, described above, and e, the innate charge of an electron, the value of which was also fixed as part of the Versailles resolution. What all that means in terms that are easier to grasp is that the ampere is now (practically) defined as 6.241 x 1018 electrons, or 1 coulomb’s (C) worth, moving past a point per second. Realizing that definition fully in a practical manner still presents a formidable technological challenge, but we can measure it precisely enough at this point for companies that manufacture electrical meters and devices like that to “feel” it and be able to adjust their instruments accordingly. Eventually, we will build the “quantum ampere,” a chip-scale device that will produce exactly a known quantity of current by actually counting electrons. We’re not there yet, but developing “NIST on a Chip” technologies, working standards that never need calibration, is a focus area for us over the coming years. NIST used to make a considerable amount of money doing calibrations. That amount has gone down over time as the number of devices coming to NIST for calibration has gone down. This may surprise you, but I’d like to see that trend continue. Why? Because we want to put world-class measurement technologies directly in the hands of industry. NIST changed its name from the National Bureau of Standards back in 1988, but it’s only now that we’ve really started to make the “technology” in the “National Institute of Standards and Technology” transition. Just like we’re looking to do with the Kibble balance, the more we can enable and empower industry, the less they HAVE to come to us, the more time and money they can spend putting our technologies to work to develop new products, and the more time we can spend working with them to solve more pressing measurement issues. The kelvin (K), the SI unit of temperature, is presently defined as “1/273.16 of the thermodynamic temperature of the triple point of water.” Water’s triple point is observed by using a sealed glass vessel that contains water in gaseous, liquid and solid forms simultaneously. When water is in that state and under a specified amount of pressure, it is exactly 273.16 K (though that depends on getting just the right mix of water molecules, something that is hard to do from place to place). Water currently provides the ultimate anchor point for realizing temperature and calibrating thermometers, but there are also many other substances that we use when doing calibrations. The thermometers we use are standard platinum resistance thermometers, which measure how the electrical resistance of platinum changes with temperature and are very fragile and expensive. This approach is essentially the way that thermometers have been calibrated for more than 100 years. Doing so requires special facilities and expertise that wouldn’t make economic sense for the average company to maintain, so they come to us. But why go through all the hassle? Temperature is just the motion of particles, so why not measure that directly? That is, why not measure temperature at the quantum level? A first step toward measuring temperature based on invariant quantum phenomena is redefining the kelvin in terms of the Boltzmann constant, which relates energy to temperature, in this case, 1.380649 x 10-23 J K-1 (joules per kelvin). While platinum thermometers will continue to be used for the foreseeable future, there are several potential means of doing quantum, chip-based measurements, including Johnson noise thermometry and photonic thermometry. And we are working to develop those technologies so that industry can have access to highly accurate temperature sensors that never need calibrating and that can be put just about anywhere, such as chemical processing plants, energy plants and inhospitable environments. The mole, the SI unit of amount of substance will have its definition edited only slightly. The mole is really just a quantity of molecules or atoms that’s used to make chemical formulations a little easier and was defined as the number of entities in 12 grams of carbon-12, which is equal to the Avogadro number, 6.02214076×1023, an enormous quantity. Now, the Avogadro number is simply and exactly defined. All these new definitions will make it easier for the units to be measured and will eventually make them accessible to everyone with the right equipment. This will be a great step forward for metrology, as it will put the power of accurate precision measurements, the kind that used to be realizable only at metrology institutes like NIST, directly in the hands of those who need them at a much lower cost. And we don’t plan to stop with the SI base units. I see our NIST-on-a-Chip project expanding to include measurements in all kinds of useful areas such as humidity, acceleration, radiation and more. For instance, we have several companies looking to commercialize our process for measuring laser power. We want to bring companies in even earlier in the process, as soon as we realize that a measurement technology is transferable. We would work with those companies under cooperative agreements to not only manufacture the technology but to help develop it. We’re putting together a new commercialization roadmap to make sure that we are taking advantage of every opportunity to collaborate with our industry partners every step along the way to get these devices out of the lab and into the marketplace where they can do some good.